Baltimore City has dumped speed camera contractor ACS(now a division of Xerox Corporation), awarding its speed camera contract to competitor Brekford Corporation. Brekford was one of two companies competing against incumbent Xerox Corp. The other, Redflex, has run into troubles of its own elsewhere when it was recently barred from bidding on the city of Chicago's speed camera contract after ethics charges emerged. "If you don't like my client, do it the right way," said Robert Dashiell, an attorney for Xerox State & Local Solutions Inc., formerly called ACS State & Local Solutions, the longtime operator. "Don't came up with this fictitious argument that somehow we aren't responsive." Brekford has up til now been servicing programs in smaller jurisdictions including Laurel. 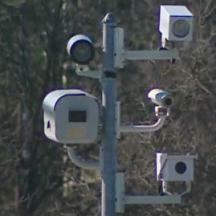 Brekford took over Cheverly's speed camera program from Optotraffic after that town complained of camera errors.